MAGICAL NOVEL TO GIVE AWAY. I love the circus. My grandfather used to take me to Ringling Brothers every year. My husband and I just took the kids to see the Cole Brothers circus and it was fabulous. I went to the circus when I was a kid but I have never been there as an adult. When my son was small, we went to the Ringling Brothers Circus every year. I have been to the circus, although I've been afraid of clowns my entire life. I have never been to an actual circus, but a few weeks ago I did take the kiddos to the small fair that was in town and they had a little circus show. I'd love to see a big one someday. yes! i love the circus and have been a lot! thank you for the contest!! 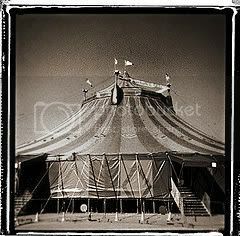 I have been to a small traveling circus but would love to go to the big top style. I went to the circus once or twice as a child with my family. Thanks for this amazing giveaway - I would love to win! This book looks fascinating! 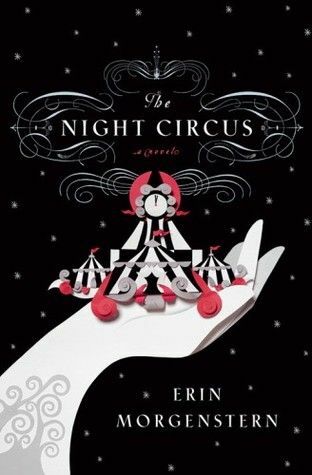 I have never been to the circus but it looks like it would be fun! I follow you on GFC as Suz! Liked you on Facebook as Suz Reads! I haven't been to the circus in years. I went once when I was about six years old and I got to ride on an elephant. Definitely a good memory. I've never been to a circus. When I was a kid, none came to my hometown, and as I got older, I got warned against going to ones that had animals. My husband took me on a date to the circus when we were first dating. I have been to a circus when I was a child. Yes, I have been to the circus. My parents took me to the Ringling Brothers circus when I was quite small. The main thing I remember is the glow sticks that people had -- I was fascinated! I've been to a circus a few times.....a major accomplishment for me because I'm scared of clowns!!! No, I have never gone to a circus. Most incredibly I never went to the circus as a child, but went often when I had my own children. What's not to love about the circus?! And what's more, I'm not embarrassed to admit that I've had more than one fantasy of "running away and join the circus." As a child, I went to the circus many times. As an adult, I attended the Jim Rose Circus, a very different type of event! I follow you on GFC (turboterp). Thanks! I've been to the circus twice, once when I was 6 and then as an adult. I used to go to the Ringling Bros circus every year when I was a kid because it always came to town around my birthday. Now I won't go to any circus that has animals though. I do, however, love Cirque de Soleil! I used to go to the circus when I was little. Google follower-When I was little my grandfather use to take me to the circus. I have been to the circus. I went to one in my hometown last year. Which was pretty weird considering the population is 360. I went to the circus as a child several times, but not in many years. Thanks! The last time I went to the circus was as a young child. I have been to the Barnum and Bailey circus and was very irritated as a child after they got me so excited to see an actual unicorn. I got there to see it and it was so obviously a pony with a rubber band horn! As if! I like you on Facebook as Stephanie Diane.